Like millions of Afghans, I have no hope in the results of this week’s election. In a country ruled by warlords, occupation forces, Taliban insurgency, drug money and guns, no one can expect a legitimate or fair vote. Among the people on the street, a common sentiment is, ‘Everything has already been decided by the U.S. and NATO, and the real winner has already been picked by the White House and Pentagon.’ Although there are a total of 41 candidates running for president, the vast majority of them are well known faces responsible for the current disastrous situation in Afghanistan. 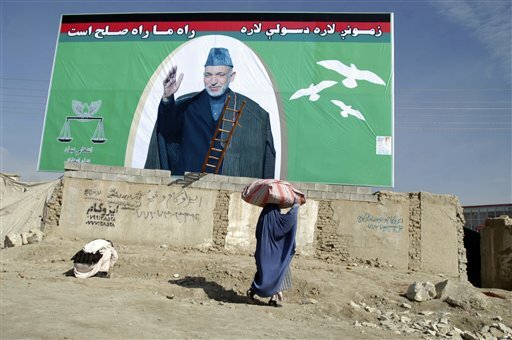 Hamid Karzai has cemented alliances with brutal warlords and fundamentalists in order to maintain his position. Although our Constitution forbids war criminals from running for office, he has named two notorious militia commanders as his vice-presidential running mates – Qasim Fahim, who was, at the time of the 2001 invasion, the warlord who headed up the Northern Alliance, and Karim Khalili. The election commission did not reject them or a number of others accused of many crimes, and so the list of candidates also includes former Russian puppets and a former Taliban commander.